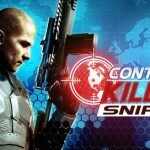 Sniper X Feat Jason Statham a new sniping game from glu. 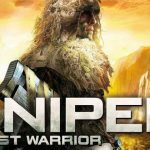 played glu sniping games? loved them ? 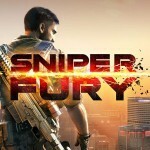 then you will love this sniping game. 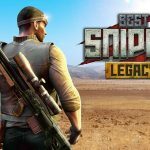 become jason statham and snipe enemies in slow motion to fast pace. Blow their heads or blast your enemies using barrels. 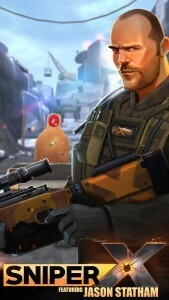 Devs has used wiseness in making this game,they invovled jason statham in the game so that famous actor’s personality helps this game to get much more download views but is it worth doing it? only players will know hows the game and is it worth playing for. same engines that has been used in all the games from glu and that is unity engine. Unity engine’s physics in sniping games are really great as seen in Deer hunter series or zombie hunter series. 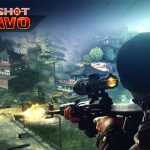 Slow motion bullet droppings and skills that can be used while playing game slow motion times,hollow points or one shot kill something like that. Its a glu game so of course its a freemium game. Requires so many grinding to complete the game or you have to pay and get some glu money. 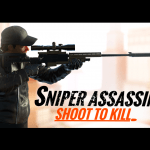 Sniper x feat jason statham mod apk unlimited money glu credits offline android free download andropalace. Complete quests and earn money and golds and use those currencies to upgrade your current weapons. Thaks RG. Can I request the game Pokeland Legends? Atleast VIP mod sir. Thanks in advance! Pls pls PLS unlock DEEMO & LANOTA thanks!